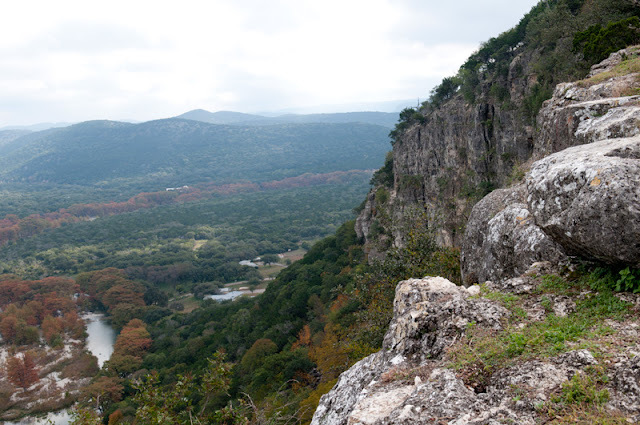 Garner State Park is located in Uvalde County, 1.5 hours away from San Antonio, Texas. This park is a great place to visit if you like the outdoors, but also like the commodity of electricity and clean bathrooms. We recently bought some camping gear and decided to make good use of it so we headed to Garner State Park. We wanted to get there early and hike the Old Baldy, but it was so packed that we ended setting up our camp site around 4 and it was too late to hike. The place was filled with families, kids, pets and young adults. It is fun to see how people bring their Christmas lights and other objects to decorate their camp site. Although it was a little chilly, I saw some kids coming back from the river. The camping grounds provide a pit, electricity, water, clean restrooms and showers. We were very eager to hike the Old Baldy the next morning, but unfortunately it was raining and very gloomy. We are already organizing our next camping trip and I promise I will take better pictures.